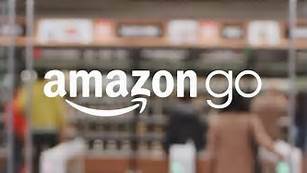 brandflakesforbreakfast: How far will Amazon go, go? How far will Amazon go, go? Amazon's long awaited checkout free shopping experience has finally opened its doors -- to long lines of folks who have a need to see it first. A more convenient convenience store, Amazon Go has no checkout lane because its "Just Walk Out Technology," automatically debits your account when you leave the store. Investors seem to think it's a great idea, with Amazon's stock soaring the day after the store launch. But how 'bout everyone else? Some believe it'll compel people to spend more than they want to or should, since -- like with a credit card -- you don't feel your money leaving your hands. In this case, you don't even feel your credit card in your hand. Others suggest it puts the jobs of more 3.5 million cashiers in the United States in jeopardy And there's concern regarding consumer privacy. Amazon is convinced that this entirely new experience, with no lines, no checkout, no registers, represents the future of retail. And as we all know, it would be a mistake to bet against a company that seems to be disrupting the status quo with regularity -- and succeeding.